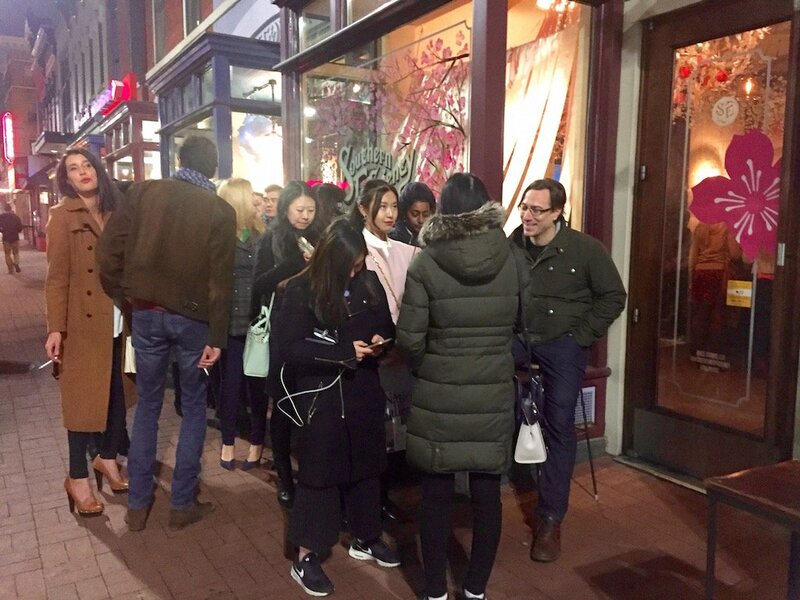 The line to get into DC's hottest pop-up bar can reach two hours long. But don't try to grease the bouncer. Derek Brown mans the door at the Cherry Blossom Bar. Photo by Jessica Sidman. It’s 6:30 PM on a Friday, and 38 people are already in line. Never mind that it’s 45 degrees and starting to drizzle. Never mind that it’s St. Patrick’s Day. 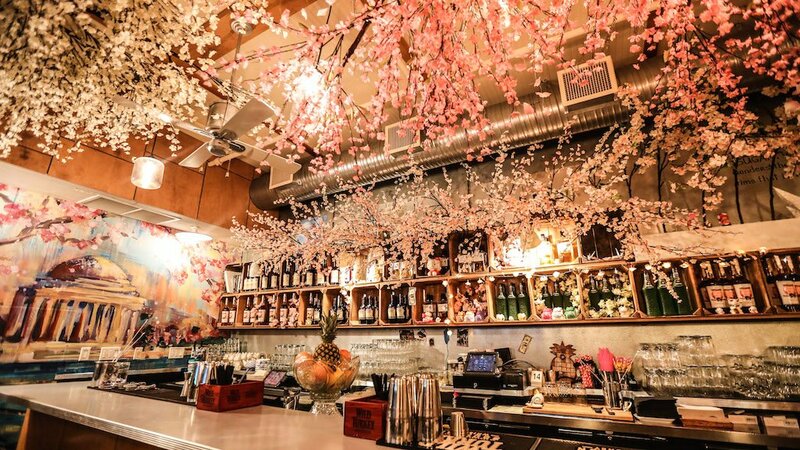 Everyone wants to get into the Cherry Blossom Super Mario Bar. 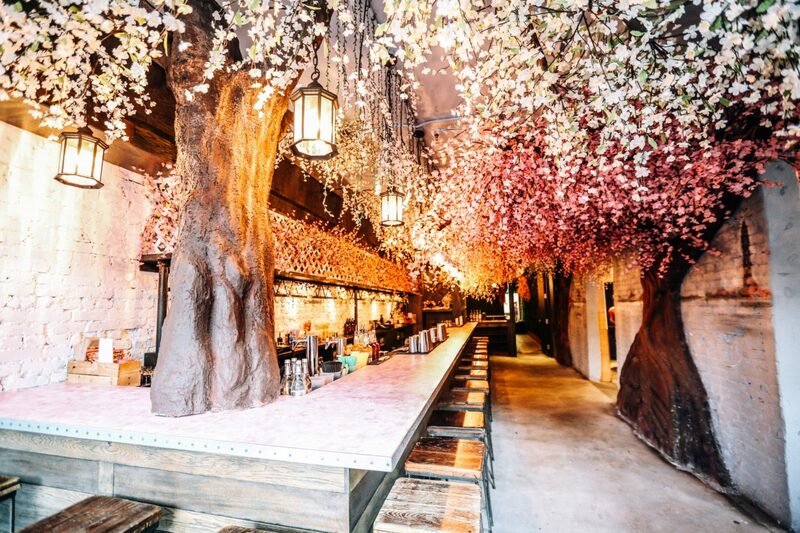 Inside, it’s an Instagrammer’s dream: pink and white faux-flowers canopy the ceiling in one room, while Nintendo piranha plants bob in and out of green pipes in the other. 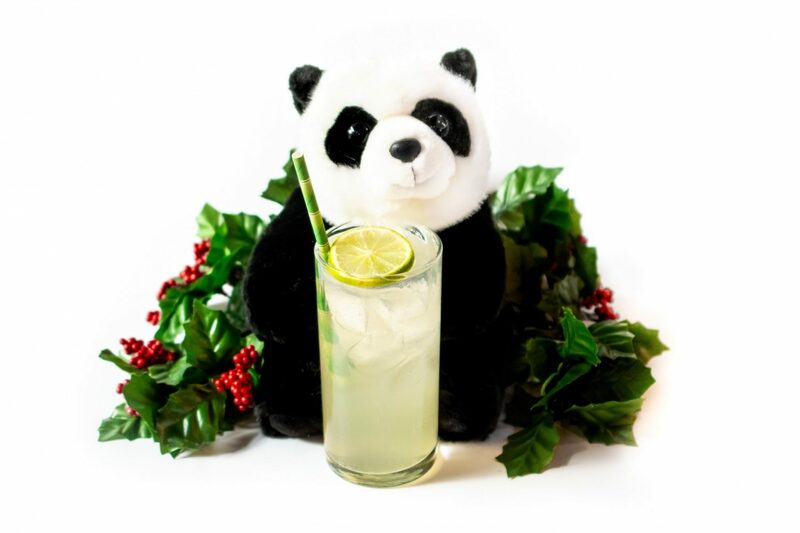 The Japanese-themed drinks aren’t bad, either. But first they’ll have to get past Derek Brown. As an owner of Mockingbird Hill and Southern Efficiency, Brown doesn’t usually play gatekeeper at DC’s most popular pop-up space. But he does check IDs from time to time, including in the winter when his Shaw bars are converted into the wildly popular Miracle on Seventh Street (aka the Christmas Bar). And now, for the benefit of a reporter who wants to see what it’s like to man some of DC’s most epic lines. As he takes over the shift from doorman Ken Brown, a guy with hands tucked into his black peacoat pockets and earbuds plugged into his ears hovers near the door. Derek Brown lets the guy in, reluctantly. “He’s a little bit of a pushover I guess,” he tells me of his fellow doorman. 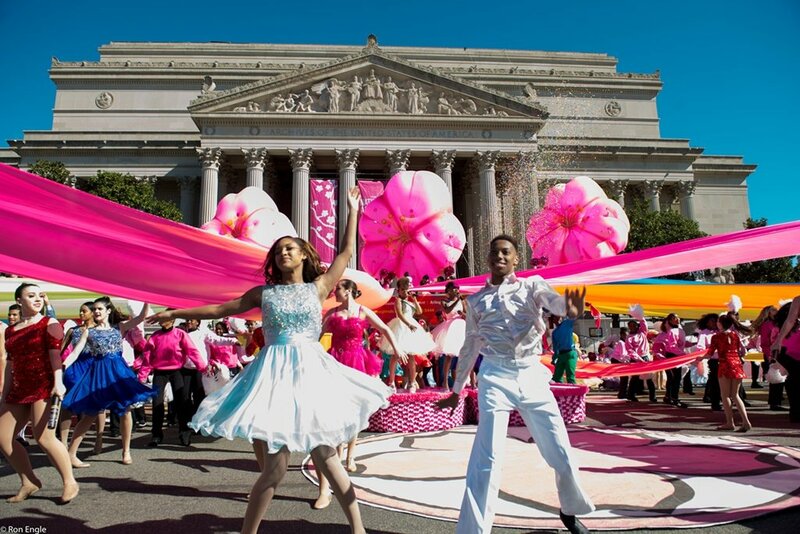 Southern Efficiency transforms into a blossom paradise. Photo by Farrah Skeiky. Over the course of the next two hours, the “friend inside” excuse (or some variation of it) comes up over and over and over again. Brown makes them all wait. The same goes for the woman who wants to use the restroom. The guy who left his ID? Brown tells him to hang outside while the staff fetches it for him. “A couple rules that make a couple people upset save everyone from being pissed off,” Brown tells me. And truth be told, people are polite about it. For whatever reason, the folks waiting in line for the Cherry Blossom Bar are much nicer than those for the Christmas bar, Brown says. Brown himself isn’t exactly the most intimidating doorman with his nicely fitted mountain-green coat and sing-songy “Hel-lo, how are ya?” greetings. When one line-waiter jokingly remarks “you’re pretty tough, man,” Brown tells him he’s channeling Patrick Swayze in Road House (tagline: “A tough bouncer is hired to tame a dirty bar”). Later in the evening, one woman asks if he’s the bouncer. “We prefer the term doorperson,” Brown says. 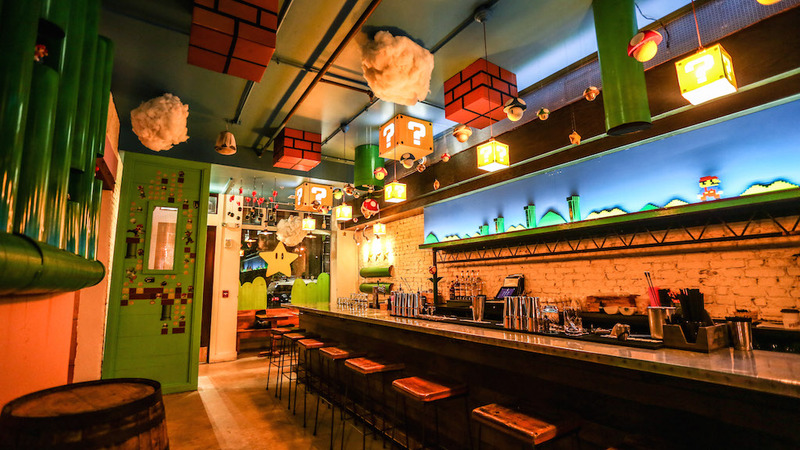 The other half of the bar (Mockingbird Hill) is devoted to another Japanese export, Super Mario Bros. Photo by Farrah Skeiky. So far, the longest line for the cherry-blossom pop-up (which runs through April 15) has been an hour-and-a-half to two hours. That’s not as bad as it was for the Christmas bar, where waits hit three hours and lines stretched down Seventh Street, past the Metro station, and around the corner to the Wonder Bread Factory on S Street. On this particular cold, rainy Friday, though, the waits fluctuate mostly from 15 to 20 minutes. “I’m surprised it’s this busy,” one patron says. “I’m surprised it’s this not busy,” Brown says. 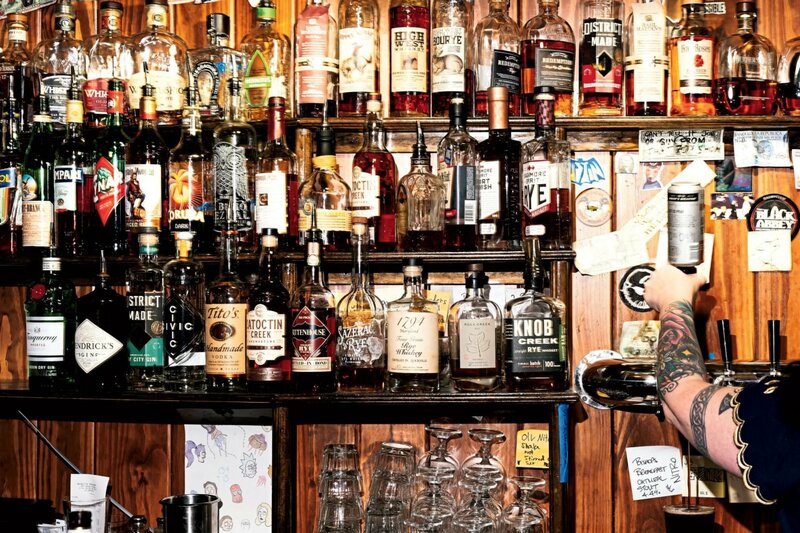 The bar is never this empty. Photo by Farrah Skeiky. At one point in the evening, a regular who lives in the neighboring apartment building shows up, but is turned off by the line. Brown suggests she instead go next door to his oyster bar, Eat the Rich, which still has empty barstools. As she turns away, she hands him a box of Trefoils shortbread Girl Scout cookies. He turns away. Such sly bribe attempts are not all that uncommon. During the Christmas pop-up, one very well-dressed guy tried to slip Brown $60. “Oh man, you’re worth more than that, buddy,” Brown recalls telling him. “Excuse me?” the guy said. One doorman was fired for taking a bribe. Sadly, it was only $20. Another time, someone offered $400. Brown is surprised his staff didn’t take that one. Then there was the attempted line-cutter who told Brown “I’m in commercial real estate,” as if he were too good to wait. “I don’t know how that applies to anything, but bless you,” Brown says. There are ways to get around waiting, however. The doormen will occasionally check the line for people who are elderly, pregnant, or disabled and let them skip ahead. Not everyone, though, is looking to scheme the line. Many are just baffled by it. “What is it about this place? Why are people always lined up?” one passer-by asks me. I try to briefly explain to him the whimsical decor and cocktails. As Brown’s shift winds down, one of the few people in line who actually looks to be over the age of 35 finally makes it to the front. He likewise asks what makes the place so popular. 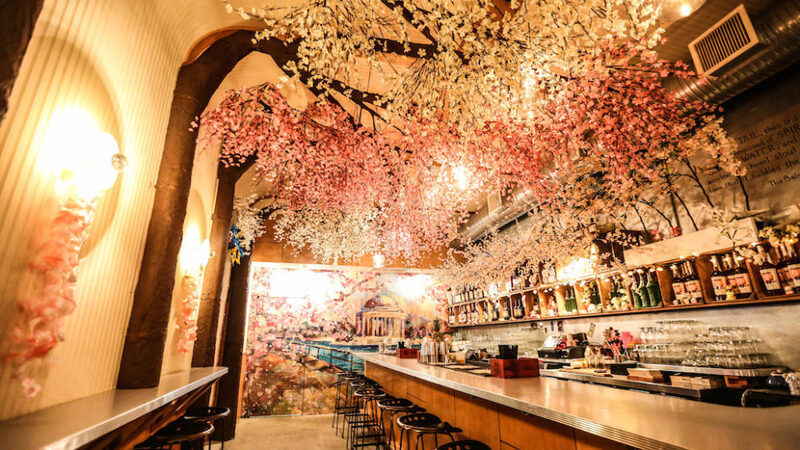 Have you waited in line for the Cherry Blossom Bar? Share this story!